Once you decide to utilize AEMPS OnDemand, we will work with you to apply AEMPS for your operations. You will provide the data on a routine or as-needed basis. We will then use AEMPS to generate results, and will submit the results to you. We will stand ready to assist you in preparing the input data. As a part of our services, we will be happy to work with you to incorporate results in the engine maintenance decision-making process. Our key solution objectives are to ensure the proper application of AEMPS, make certain that input data is efficiently gathered with as much automation as possible, and confirm that the output data is positively used for quality decision making. We have core expertise in air transportation, with a focus on powerplant MRO (maintenance, repair, overhaul). 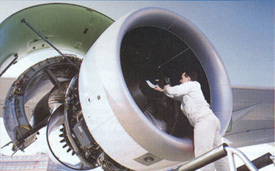 Our consulting services consist of unique blend of academic expertise and practical hands-on experience in engine maintenance planning. We have worked with numerous air transportation operators worldwide over many years. Our work ranges from helping our clients meet the regulatory requirements and ensure compliance with regulations, to solving critical resource planning problems and making decisions for crucial strategic resource allocation. We have prepared a number of highly-valued executive seminars and training workshops. For AEMPS, we have two structured workshops: Advanced Engine Maintenance Planning (two-day seminar), and AEMPS Training Workshop. In other MRO areas, we also offer a number of organized seminars and workshops. Our experience indicates that conducting such seminars and workshops is an exceptional approach and effective means for transferring knowledge, opening new thinking spectra, and encouraging a broader vision for the future possibilities to bring extraordinary benefits to organizations. Please contact us so that we can discuss with you various possibilities.